As everyone is aware, this year’s wildfire season has been one of the worst in BC history. The unpredictability of the Elephant Hill Wildfire caused the postponement of Gold Country 5th Annual Geocaching Event. This was a strenuous year for tourism in our region and unfortunately, our event was heavily affected by the wildfires. The wildfires destroyed much of the area where volunteers had previously hidden the geocaches, and with other areas being tinder dry, we did not wish to send geocachers onto such sensitive trails. Air quality also played a large factor in the Board of Directors decision to postpone the event. 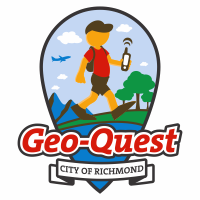 Gold Country will now be holding the 5th Geocaching event May 11-13, 2018. Gold Country will be releasing 8 new GeoTour caches at the event as well, bringing the total of our Geotour up to 150 hidden geocaches. The upside to the postponement of the event is that there will be more time to collect Cache for Gold Pathtags in Gold Country’s Geotour Caches; you can redeem 10 of those pathtags for a limited edition geocoin on the final day of the event. There is also a raffle for gold coins from Canadian Mint, there will be awesome registration bags and more to look forward to. We hope everyone will join us in the spring!